Well it has soon come round to the first match of my Balmoral fishing club season and their was no better place to start than Partridge lakes Spey canal , on arrival at the complex i went to the cabin to sort out the peg fees and grabbed a bacon buttie before heading to the rear car park where most of the club was waiting . 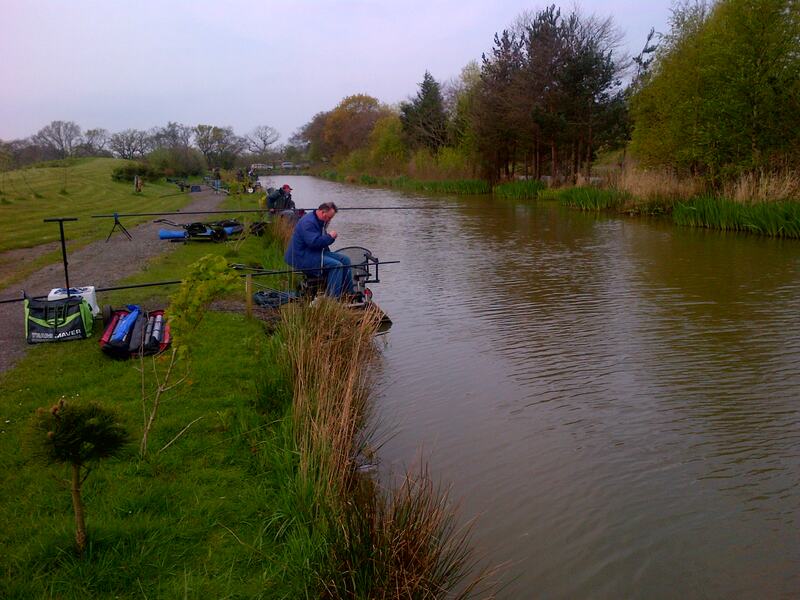 I started collecting the pools before sorting the pegs out and with 19 of us fishing we had three sections of five + one section of four , at 9 we began the draw i had left all 22 balls in the bag so some lucky person would get an empty peg to fish too which worked extremely well in practice on here . When it came to my turn to pick their was three balls remaining in the bag and i pulled out peg seven , when i got to it looked pretty much like all the others with it being 12 meters wide with plenty of far bank weed growth but i also had some sort of weed bed to my right which i would target in the last hour of the match to hopefully pick up a nice carp or two . The wind was really bad again today blowing away from the car park so the early numbered pegs had the best fishing conditions but like all good f1 waters the f1s follow the wind so it might be a bit tough down this end . As the whistle went for the all in i went out and cupped in a pot full of maggots on to my far bank line plus two more on to my channel line , i then went across with double maggots on the hook and began trickling in the feed a few lift-drops resulted in my first f1 coming to the net but it was extremely slow going for every one within eye shot . The wind at times made fishing across really hard but this is where the f1s wanted to be because i couldn’t get a bite from my channel swim , so i decided to try fishing shallow over the top of it to see if the f1s could be found up in the water like on the other coveys but this only produced silvers . I decided to persevere with my far bank line because this was my only line that produced any bites regular but it was really hard going fighting the wind , a change of shotting pattern for an on the drop one got me back among the fish and it seemed the f1s would take a moving bait better which was a good job because i was struggling to keep it still in the conditions but i was bumping a few fish off on the way in because the wind would pull the pole as i was shipping back in and i was even foul hooking them coming back with scales on the hook so their was plenty of fish present on this line . After three hours i had ten fish in the net which was better than most around me and i then hooked a proper lump which i just couldn’t do any thing with , it was fighting really well on my matrix orange elastic and i had it on for a good five minutes before the hook pulled out which was a shame because i hadn’t even seen it and in the end it probably cost me any chance of winning what turned out to be a very tight match . 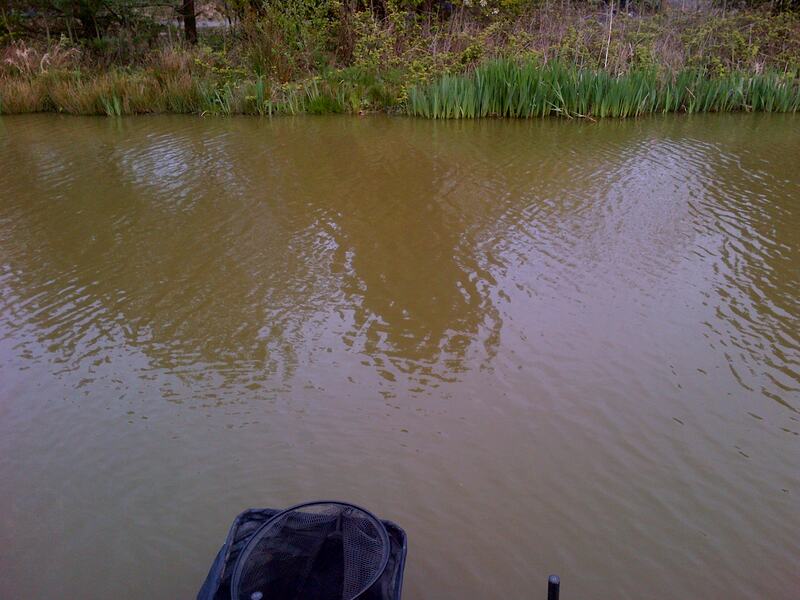 Any how i went back across picking up the odd f1 again while i started feeding my margin for hopefully a good last hour and i had just began fishing it getting the odd line bite when the lad on the next peg decided to pack up pulled his net in and generally made a big disturbance Could only happen on a club match , so as you can imagine this killed my swim and ten minutes with out another sign saw me revert back to the far bank and on the stroke of all out i hooked and landed a 5 lb common carp which bumped up my weight considerably . 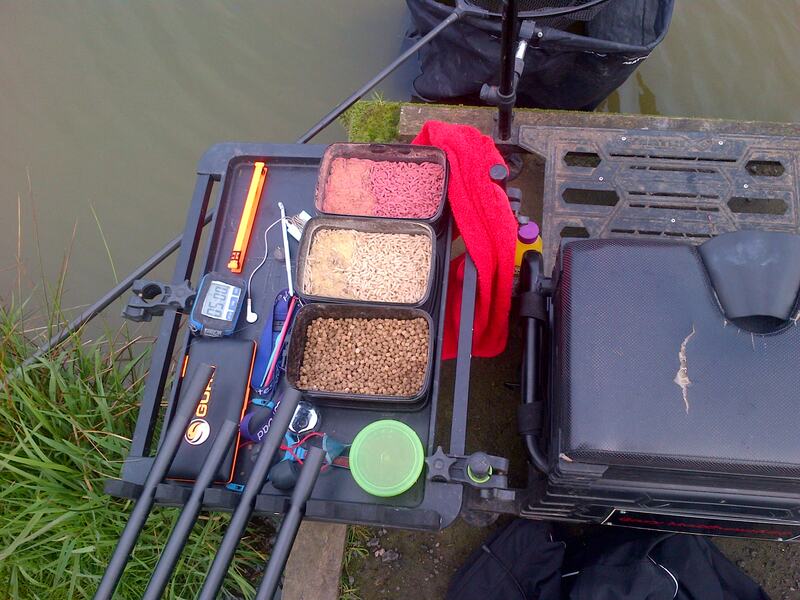 When we started the weigh in near the car park on the high pegged numbers it was noticeable that it had fished hard and some anglers struggled to cope with the conditions today , but you still needed a near 20 lb weight to win your section which is what i had predicted beforehand and a near 40 lb weight to win the match . So i don’t think it was too bad a match and any venue would have struggled to cope with that amount of anglers plus weather conditions we encountered today . My travelling companion John got second in the match beating me by a pound knocking me into third and he also won the golden peg because Terry decided not to enter it , so between us we came home with a bit of money and more importantly some good club points roll on the next match at Blundells Pine canal in a fortnight just hope i can make it . 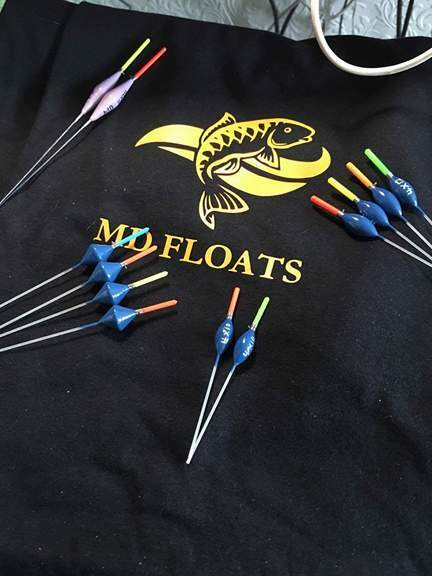 This entry was posted in Club match 2014, Partridge lakes and tagged Balmoral fishing club, Common carp, f1 fishing, gamma pellet hook, garbo line, Maggot, malmams speedy float, matrix 10 elastic, matrix float, matthews580, Partridge lakes. Bookmark the permalink.